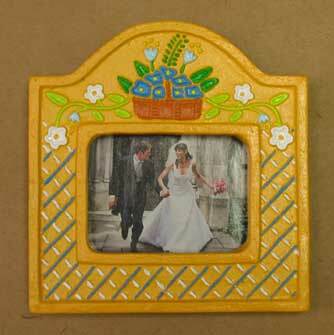 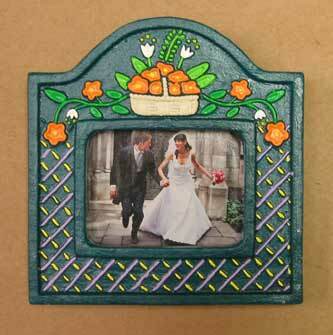 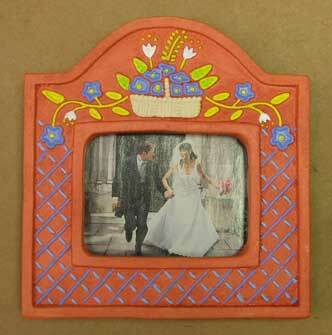 Our hand painted ceramic picture frames will add a delightful Mexican accent wherever they are displayed. 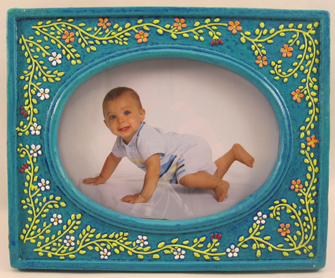 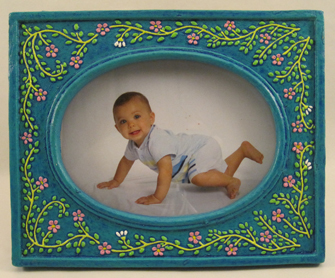 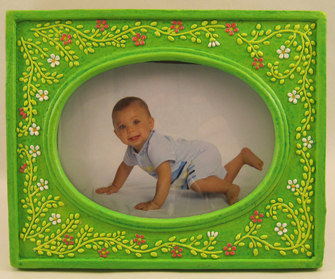 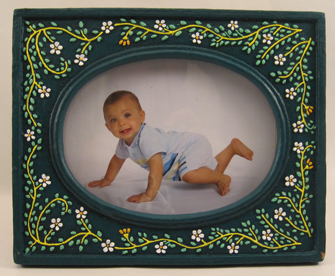 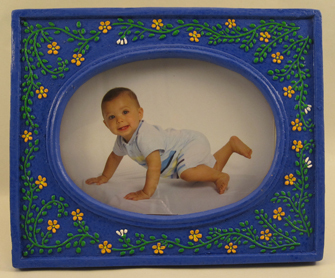 Each decorative frame has a raised floral design that is hand painted in vivid colors by the artisan. 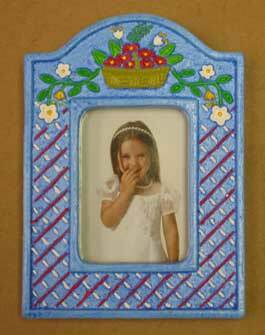 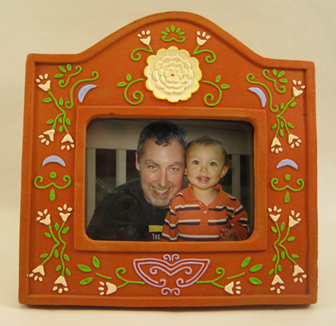 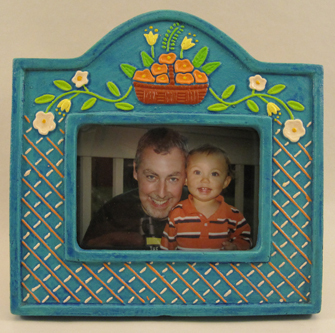 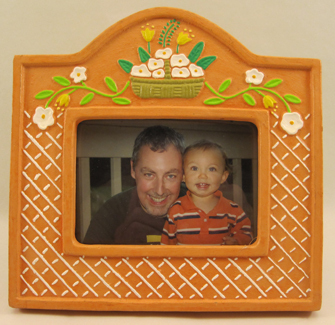 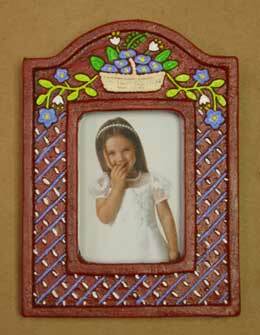 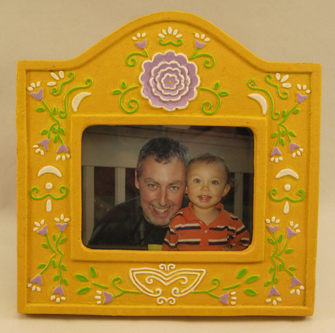 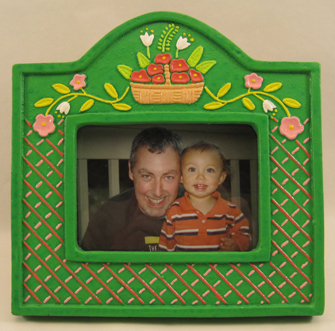 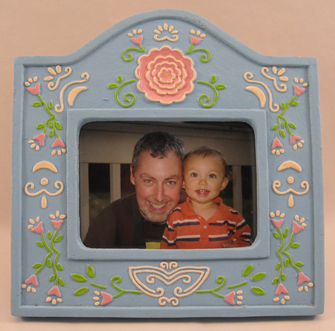 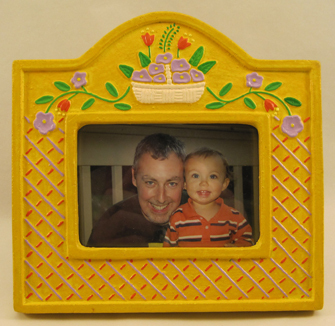 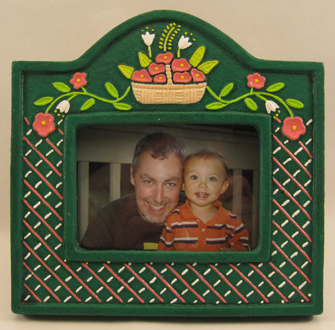 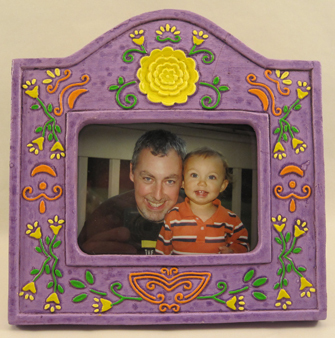 Ceramic picture frames make great gifts for weddings, anniversaries, housewarmings, holidays, birthdays, or any occasion! 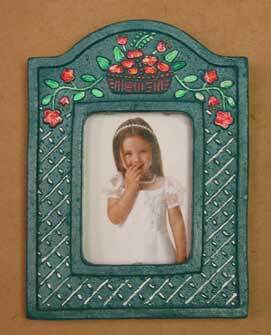 Frame Size 4.5" x 6.25"
Picture Size 3" x 4"
Frame Size 5.5" x 5.5"
Picture Size 4" x 3"
Frame Size 8" x 8"
Frame Size 8" x 10"